Land Rover had a successful 2014 with sales increasing 9% globally compared to the year before. And with the all-new Discovery Sport going on sale this year, the company believes its success will continue. We just got the chance to drive the new SUV in Iceland and here are our impressions. In addition to driving the vehicle in typical situations, like on the highway and in the city, we also got to drive it on snowy and icy roads. And as you would expect from a Land Rover, the Discovery Sport was up to the task in those less than ideal road conditions. But we did benefit from using studded tires. And for those who need a vehicle for more than just normal driving, there’s four driving modes to choose from. One for regular driving, one for snow and gravel, another for mud and the last one helps the Discovery Sport perform in the sand. 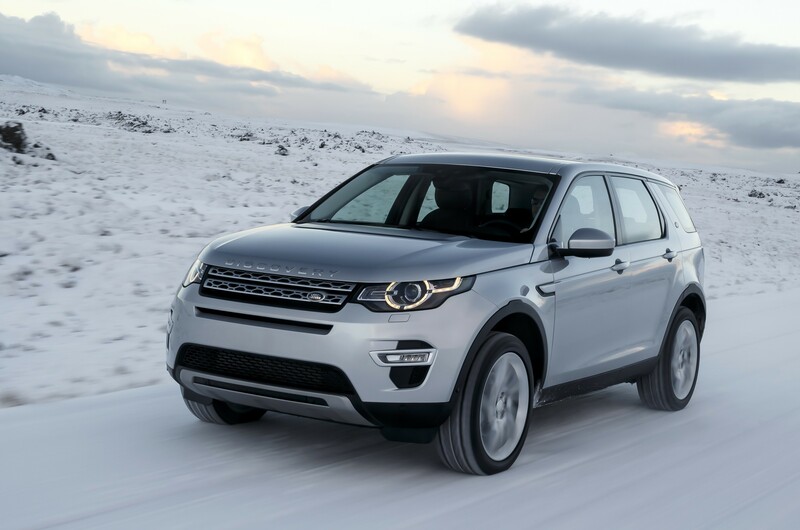 The 2.0L gasoline engine powering the Discovery Sport is more than capable. That engine cranks out 240 horsepower and 251 lb.-ft. of torque. It’s mated to a nine-speed automatic transmission from ZF and also features start/stop technology. The SUV is rated at 20MPG in the city and 26 on the highway and gets a combined average of 22 miles per gallon. 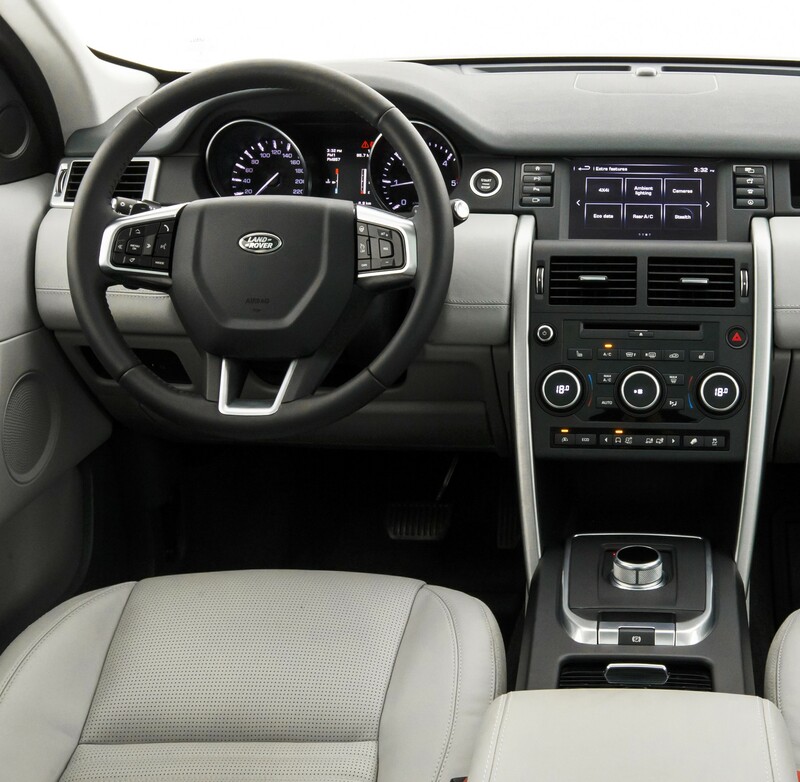 The Discovery Sport seats up to seven people. There is plenty of room for passengers in the first and second rows and there is a 3rd row that folds flat, but most adults will have a hard time squeezing into it. The dash and vehicle controls are simple and laid out well. Other features include standard leather seating, a new 8-inch touch screen infotainment system and USB plugs for every passenger. The Discovery Sport goes on sale this spring with a starting price just under $40,000. I have to say, $40K for a vehicle that only has a pint-sized 2.0L 4-banger is too high. When I drop that much cash for a car–even a Land Rover, Benz, or the like–I expect at least a V6. It doesn’t really matter how much HP it has, it just sounds overpriced. Moreover, while 40K is terribly high a price for a new vehicle, it nevertheless sounds v6ish at a MINIMUM. I love the styling of the Discovery Sport. Since Ford at one time owned LR it must share design with the Escape. Too bad Ford does not downsize the styling of the Explorer to the Escape. I am not a fan of the Escapes styling. I recent drove an Escape and it had a 4 banger which was very noisy under acceleration. I hope the Discovery does not have the same issues because that will kill sales especially in this luxury vehicle.